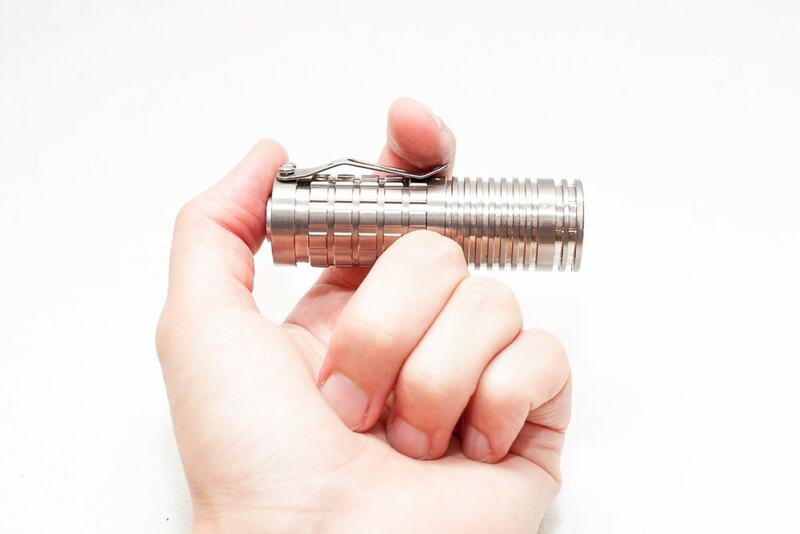 Back in 2015 Rey started building flashlights with the help of the BLF community. 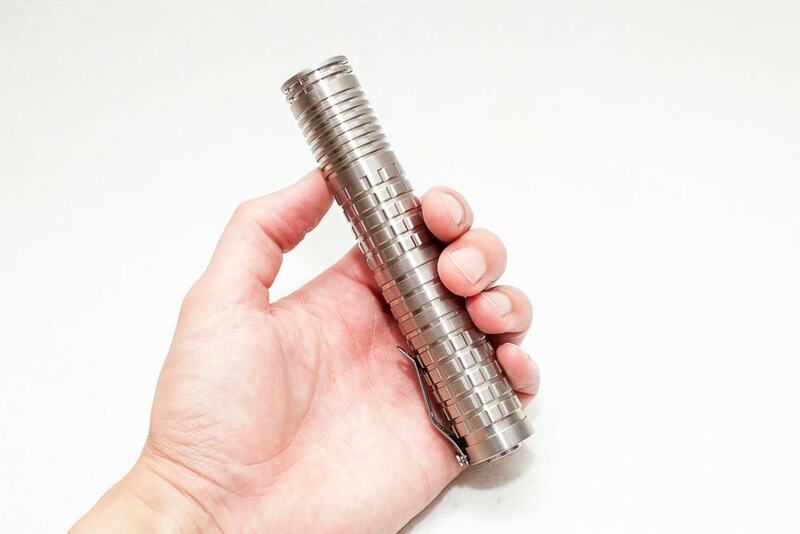 His first project was the BLF Reylight Titanium flashlight with 3 Nichia 219B LEDs. It took about 6 months to come to the production model, and Rey learned quite a bit. 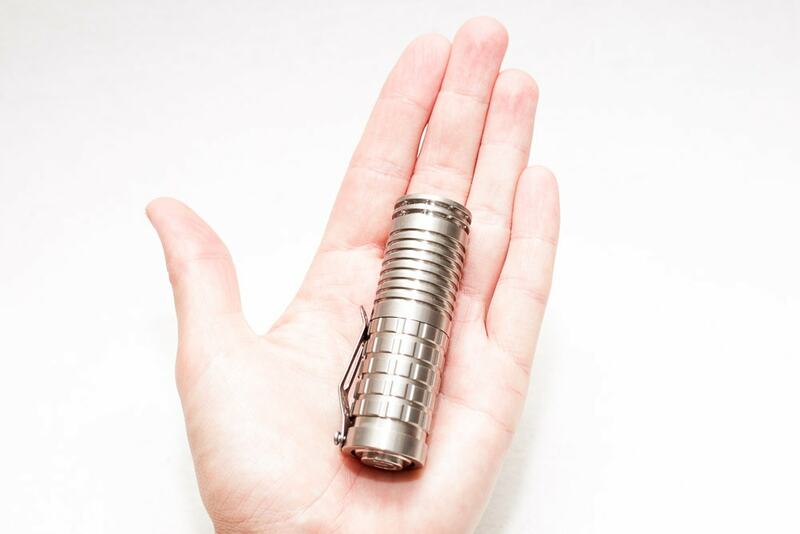 So the Titanium flashlight was a little on the rough side. Let's take a look and see what it had to offer. BTW, this is the first model. In 2018 he started producing the 2nd edition of this light. 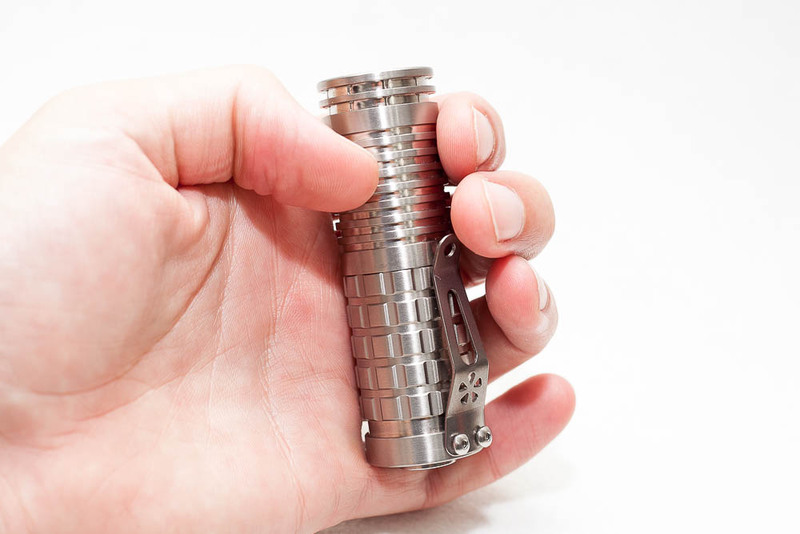 I already have it for a few years, so I can tell only from experience that this titanium light has some kind of coating that helps with grip. It's not slippery, especially not when it heats up. But the clip is something questionable. Once its bent, it can stay in that position and you have to bend it back into its original position. This was a known issue back in 2015. Also the screws that weren't drilled in the right way, so the screws were not flush but sticking out a bit. Another little thing was the switch. You could screw it deeper into the body if you wanted, but then the batteries wouldnt fit well, and if you unscrewed it too far, it was a little wobbly. 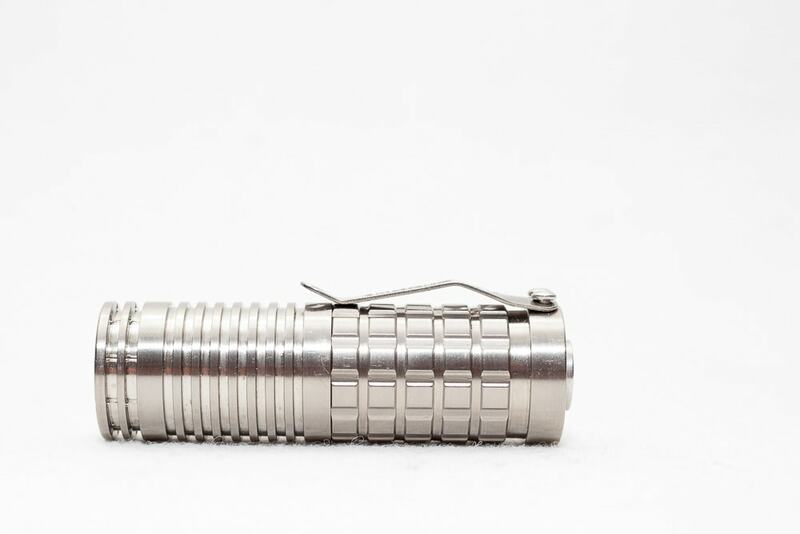 My first BLF Ti had this problem apparent. But my second BLF Reylight Ti didn't have this problem as much. And I am sure the 2018-2019 models would have this all fixed. It can, depending on how far the switch is screwed in. And it's very unstable if you just let it stand on the button. 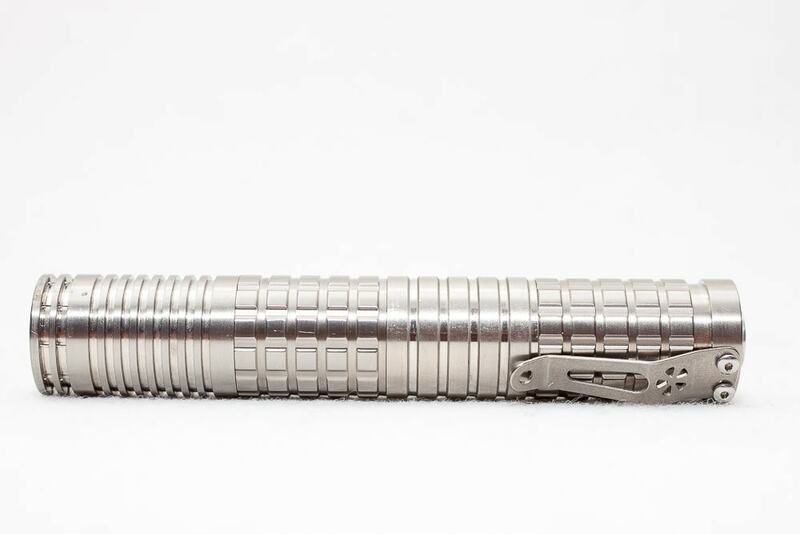 My second Reylight Titanium has some sort of coating. The first one I had was less shiny. The build quality of the first batch was ok. 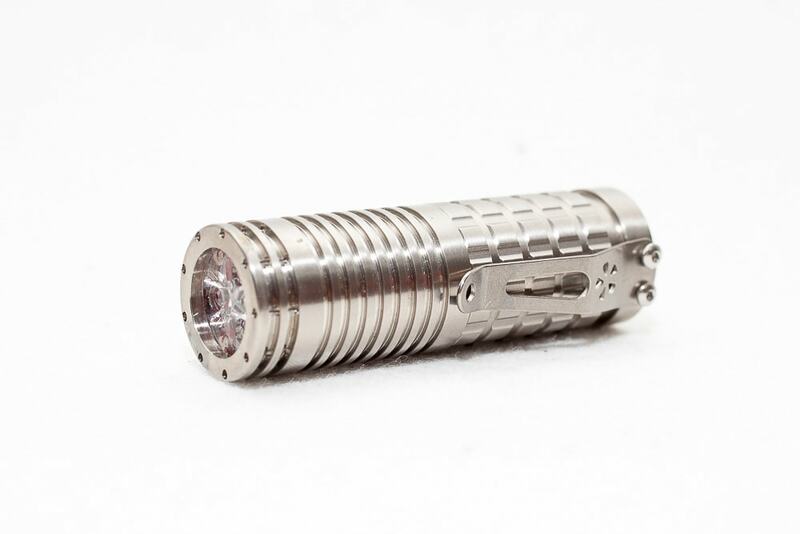 It wasn't of high quality, but you could have a titanium light for not much money. Titanium threads always feel much more gritty than anodized aluminum threads. 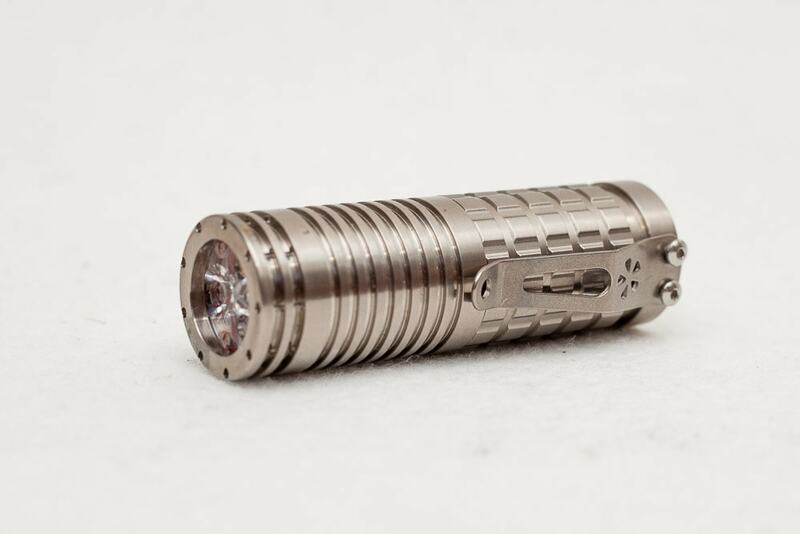 And as I mentioned above, the screw holes for the clip and the clip itself are something to be taken into account when looking for a titanium light, meaning they could use some improvements. The LEDs provided with the light were Nichia 219B 4500K for neutral white light, and Carclo 10507 TIR optics. 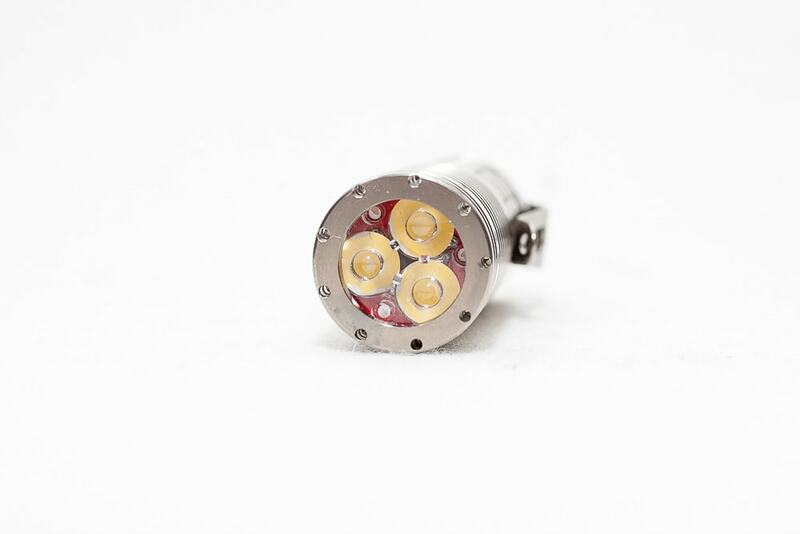 The LEDs were chosen because of their very high CRI to render colors vividly. There isn't really a bezel, as its 1 piece with the head. But there are pre-drilled holes to insert tritium vials. My first one had 9 Vials, this one has no vials, although I have some left over, but too less to put them in. 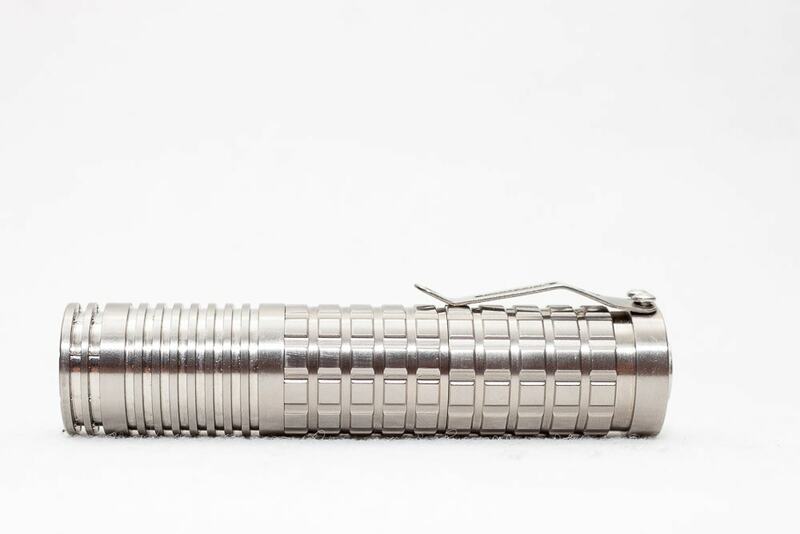 By default you would get the 18350 battery tube. And with the extension tube you could use 18650 batteries. I got even another extension tube, so you can use 2 pieces of 18500 batteries, but you can't use it with the standard driver. You would have to replace the driver in order to use it with 2 batteries.. If you still try, you'll fry the driver. 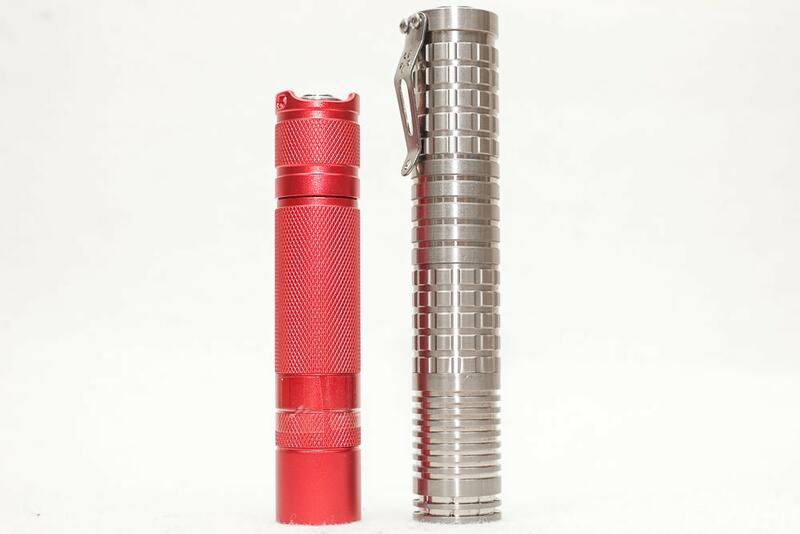 Below you can see the comparison between the Reylight BLF Titanium, the Convoy S2+ and the Solarforce L2M. I have a Panasonic NCR28650B that doesnt fit the battery tube. Use a single click to turn the light on and off. There are 3 main modes: Low, Medium, Turbo (2%, 25% 100%) and you can walk through the modes by half-clicking the switch. The turbo mode has a 60 seconds timer. Turbo that stays on Turbo (No time to turn down) Be aware that this can damage the light if used too long. Yes after 1 second of using the current mode. Not it is not necessary, because he has a mechanical switch that uses no energy! I didnt detect it by eye. 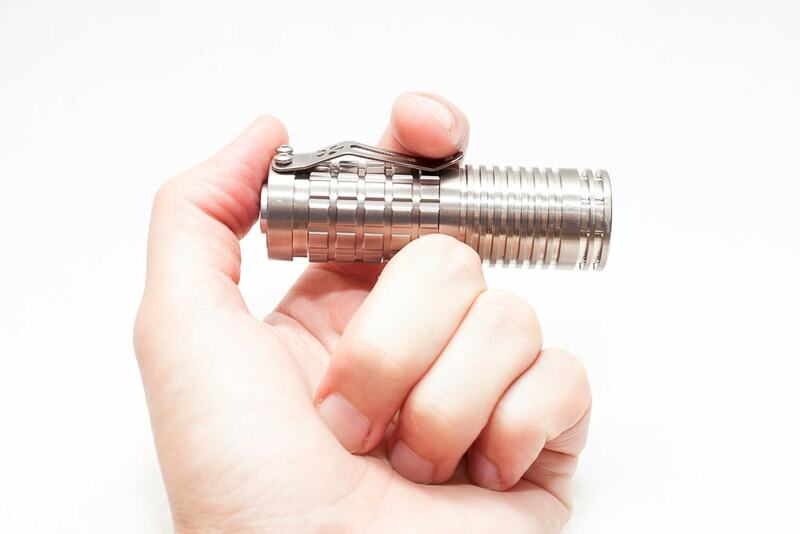 Using 3 pieces of the Nichia 219B Led, you can get about 2000 lumens for a few seconds, until the heat reduces the output, and after 60 seconds will back down. 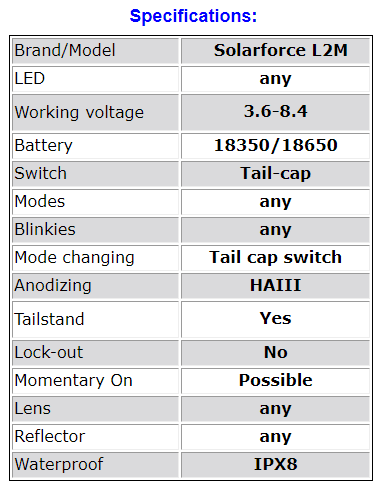 If you use a normal low-drain 18650 battery you can get a nice amount of flood light with about 1000 lumens. This is bright enough in most cases. The light turns off when the battery is at 2.9Volts. Measure at the tail with a Jetbeam 18650 high amp battery. Because of the Carlco TIR optics the Reylight doesn't have much throw at all. And is really only used for short distance. 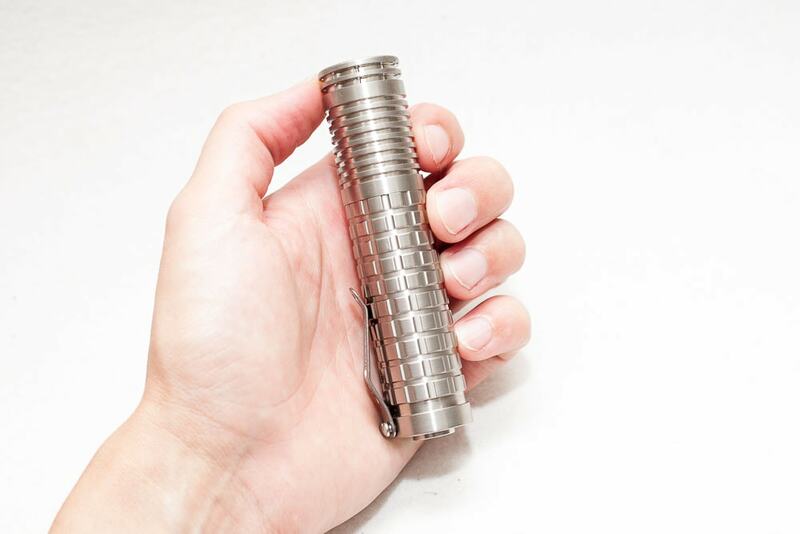 It's a little rough compared to premium titanium lights, thinking about the clip, screws and switch. Although this one is from 2015, it's still pretty bright. 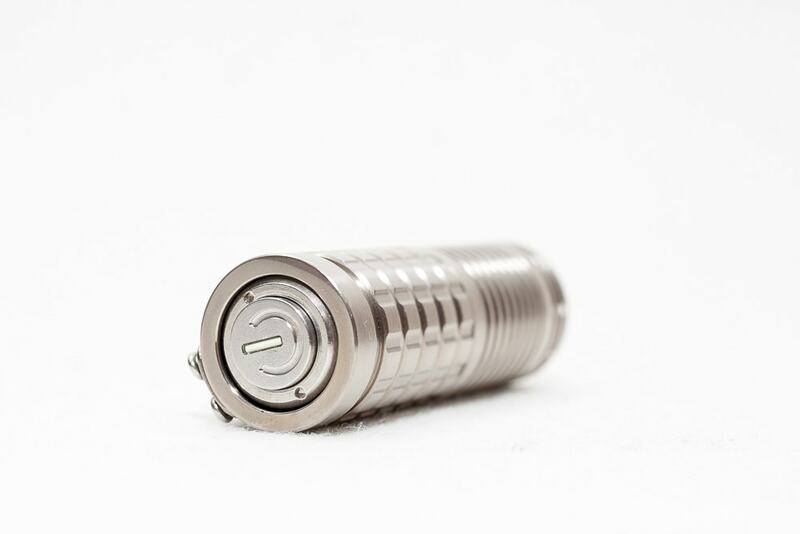 A 5 star would include better UI, better machining and finish, screw holes correctly alligned, button switch assembly improved, wider battery tube to use wider 18650 batteries.